People all over are flocking to the SnapShotz Photography Board Game craze. Reunions, birthday parties and Game Nights are all great places to take SnapShotz! 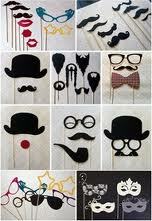 Photo Booth Props can be found online and at Party and Costume Stores in your neighborhood. Simple and easy with no starting instructions, put the board on a table, grab any digital Camera (or smart phone, tablet or iPhone) place the "PoseCards" on the table, deal out the "Skip Me Cards" and away you go! Grab some photo props and store them in a "prop bag" to help collect some favorites. HOLIDAYS ARE PERFECT FOR SNAPSHOTZ. Imagine the fun when you have stocked up for some Fourth of July, Cinco de Mayo, Halloween and Christmas theme nights! Put out some Pirate Themed props with hats, eye patches and beards. Princess Party props with tiaras, veils and star wands. Raid the closet and attic for Grandma's hats or Dad's favorite baseball cap or Cowboy hat. 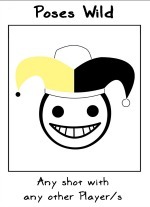 PoseCards are drawn at random in the Snapshotz Photography Board Game. Some are silly, some are trendy and some, when you least expect it, might suggest a serious portrait pose. Everyone gets drawn into the action because the game "asks it of them". The perfect playing field for those who love to take "selfies" or for those that are a bit camera shy and "photo allergic". It puts taking photos on "auto-pilot". Rest your head on another player's shoulder. Blow a kiss, Marilyn style. Put a "Dr. Evil" finger in your cheek. Place the tip of your tongue on the tip of your teeth. Try a "Home Alone" pose. Put up a "heart" with your hands. Chew on a finger, Lindsay style. Thin out and delete the bad shots after the "photo finish" with the game. Prioritize only good shots. Share and print them! and we hope that you capture some great photos that you might have missed out on. Make it fun to smile for the camera and your family and friends will love you for it!